OEM pin that retains the slide stop spring. 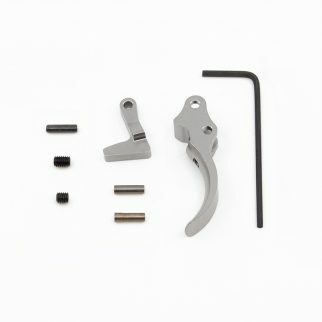 Fits all CZ's that use the part number 3OS or 3NS slide stop spring. Curved European style single action only trigger. Made from super tough G10. Lifetime warranty to the original purchaser. CGW's reduced power firing pin spring used on our 61050 extended firing pin. 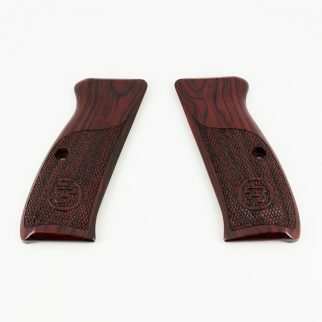 CZ-USA OEM Coco-Bolo 1/2 checkered grips, fits all 75, 85, and 75B Omega full size. See part number 28 for grip screws. Very popular music wire 15# hammer spring color-coded "Gold". Must be used with our Reduced Power Firing Pin Spring. Very popular music wire 11.5# hammer spring color-coded "black". Must be used with our Reduced Power Firing Pin Spring. Very popular music wire 13# hammer spring color-coded "blue". Must be used with our Reduced Power Firing Pin Spring.